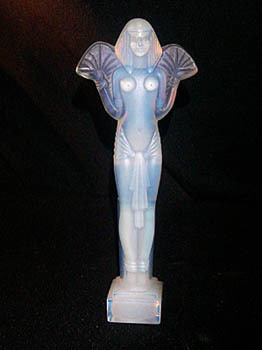 SABINO ST- STATUE " EGYPTIENNE"
African themes were a common motif of the Art Deco era, especially French Deco. Ancient Egyptian themes also found their way into the archictecture and art of the era, as did the bold use of colours. 5"x 2" - 13cm. x 5cm.